Preheat your Yoder Smokers YS640 to 400ºF. 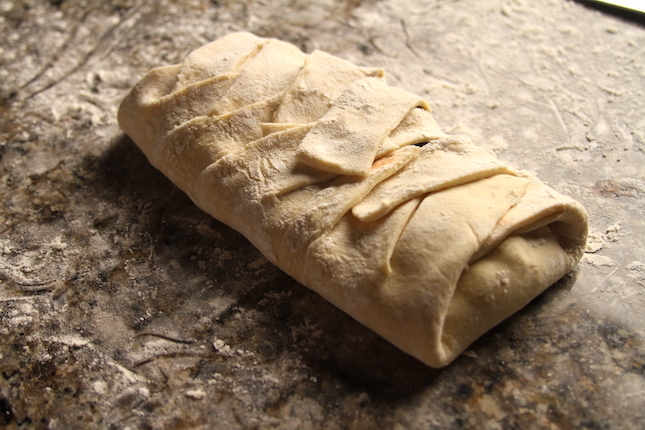 Lay out the puff pastry on a lightly floured surface. On the right and left sides, make horizontal cuts one inch apart. The cuts should go 1/3 of the way across the sheet on each side, leaving the middle third uncut. 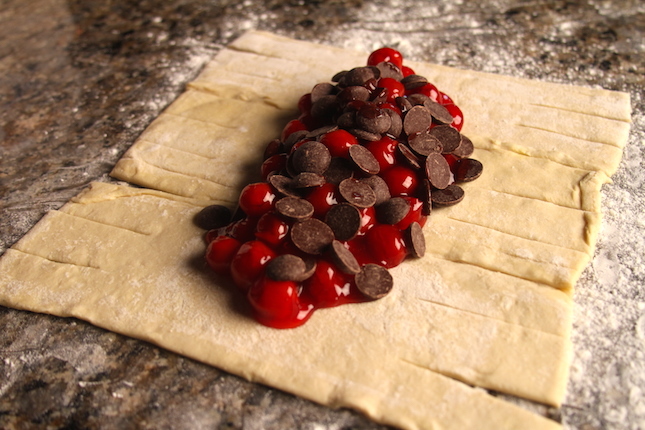 Spread the cherry filling and chocolate chips over the center. Fold the top and bottom cuts over, to keep the filling from spilling out the ends. 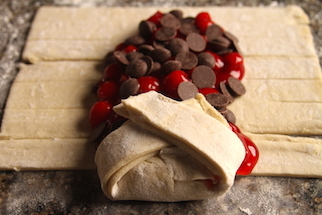 Begin folding the flaps of puff dough over the center at an angle until the filling is entirely inclosed in puff pastry. 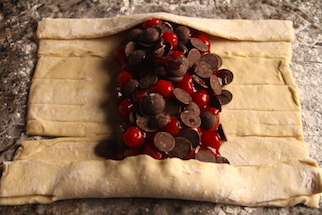 Carefully transfer the braided pastry to a parchment paper lined sheet pan. 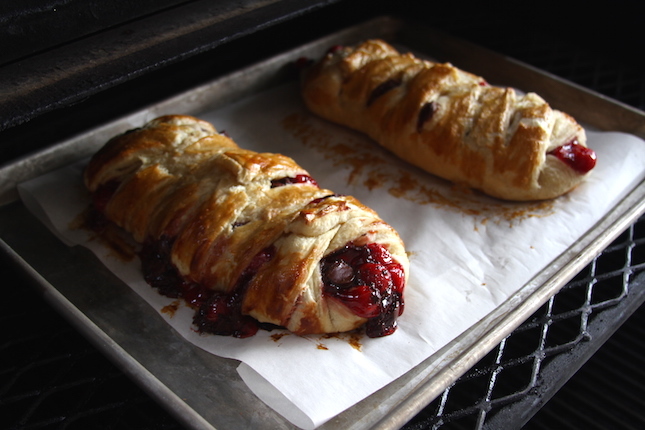 Bake for about 45 minutes, until pastry is lightly browned and cooked through. Meanwhile, whip the cream cheese and powdered sugar with a hand mixer or with the paddle attachment on a stand mixer. Whip until light and fluffy, then add the milk. Mix until smooth. 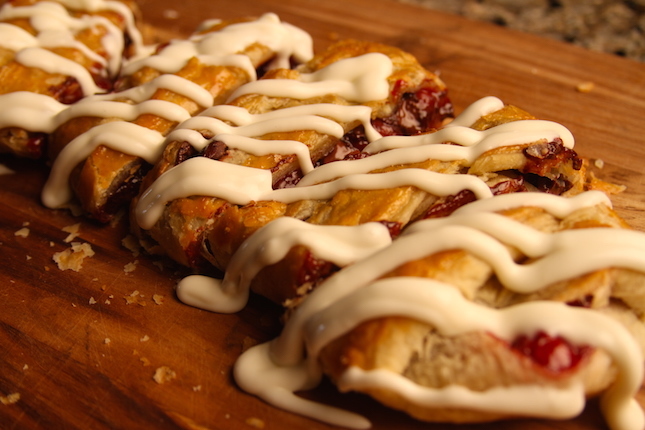 Top the pastry with the cream cheese icing.